07/02/1954 – Sub-Champion – USSR CHAMPIONSHIP. 26/02/1960 – Champion – USSR CHAMPIONSHIP. 11/02/1961 – Sub-Champion – USSR CHAMPIONSHIP. 20/12/1962 – Champion – USSR CHAMPIONSHIP. 26/01/1965 – Champion – USSR CHAMPIONSHIP. 1968 – Champion – INTERNATIONAL OF WIJK AAN ZEE. 28/12/1970 – Champion – USSR CHAMPIONSHIP. 1971 – Champion – INTERNATIONAL OF WIJK AAN ZEE. 1977 – Champion – DUTCH CHAMPIONSHIP. 1978 – Sub-Champion – INTERNATIONAL OF WIJK AAN ZEE. KARPOV 16’5 – KORCHNOI 15’5. 12/12/1979 – Sub-Campeón – INTERNACIONAL DE LINARES. 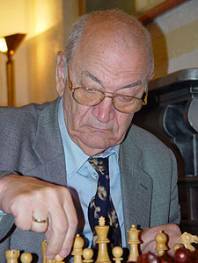 KARPOV 11 – KORCHNOI 7. 1982 – Champion – SWISS CHAMPIONSHIP. 1983 – Sub-Champion – WORLD BLITZ CHAMPIONSHIP. 1984 – Champion – SWISS CHAMPIONSHIP. 1985 – Champion – SWISS CHAMPIONSHIP. 01/02/1987 – Champion – INTERNATIONAL OF WIJK AAN ZEE. 22/06/2005 – Sub-Champion – GYORGY MARX MEMORIAL. 2006 – Champion – WORLD SENIOR CHAMPIONSHIP. 21/07/2006 – Sub-Champion – SWISS CHAMPIONSHIP. 2009 – Champion – SWISS CHAMPIONSHIP. 2011 – Champion – SWISS CHAMPIONSHIP.